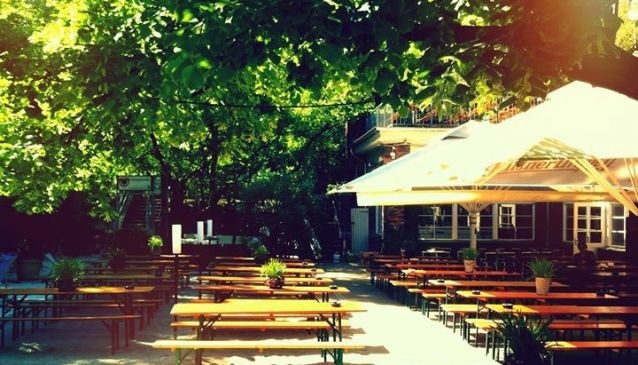 For me, there is no better place to be to take advantage of the Berlin Summer than a Biergarten! 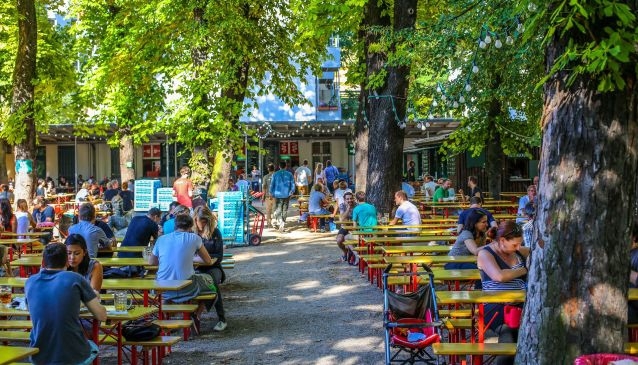 No list of Berlin beer gardens could be considered complete without mentioning arguably the King of them all..... Prater, located on Kastanienalle in the heart of Prenzlauer Berg. 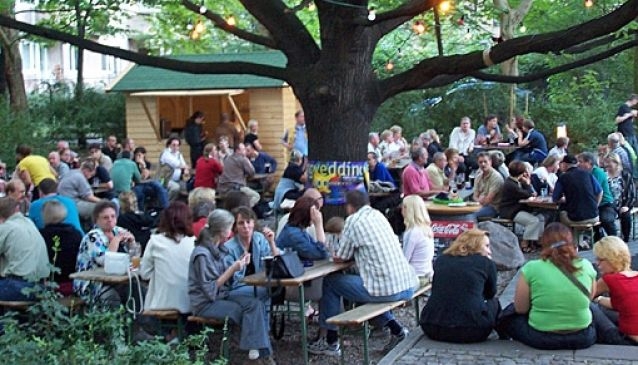 Touted as Berlin's oldest Biergarten, beer has been served under the shade of their impressive chestnut trees since 1837. With room for 600, Prater is generous in size, and you can almost always find a place to sit although if you are a large group I'd recommend arriving early. They have a small playground in one corner for the kids and along with their house branded beer (I usually go with the Prater Pils) they do some great food including tasty sausages and steaks. If beer isn't your thing they also have a selection of cakes and pastries and do a serviceable coffee. 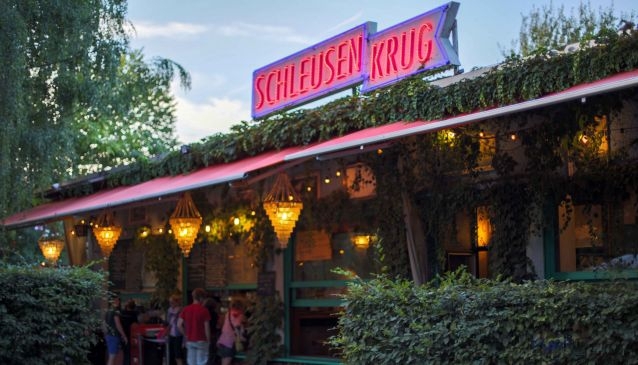 Located in Pankow near the border to Prenzlauer Berg, this relative newcomer to the Berlin Biergarten scene quickly became one of my favourites. 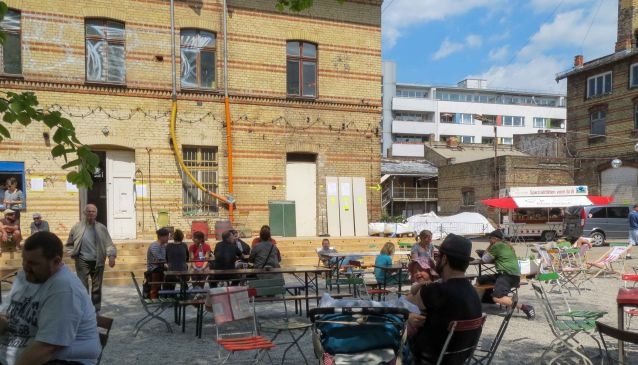 Located in the front courtyard of an abandoned brewery on Berliner Straße, Emils has a air of pop-up about it and seems to be mainly frequented by locals rather than the masses of tourists that head to Prater. A great selection of beers, some truly delicious pizzas, as well as a grill make this a great spot to while away the hours. What I also love about Emils is that they have a bunch of deckchairs and proper chairs which my bottom likes a lot better than the standard Bierbank, or bench. Brauhaus Südstern is a German Brewpub and along with indoor and outdoor street seating also boasts a Biergarten with seating for 140. One of the reasons I love this Biergarten is because of the beer. At Südstern you will find house brewed, unfiltered, unpasturised, cask conditioned beers. 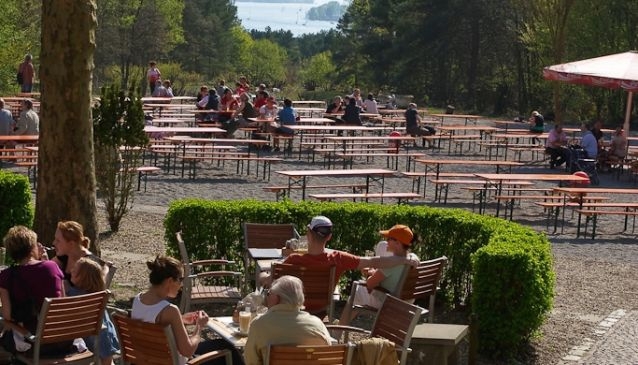 They offer a selection of different beers including a light and dark beer and a wheat beer (Helle Stern, Dunkel Stern or Stern Weisse) as well as occasional seasonal or specialty beers. As an added treat, you can also book a tour where the master brewer will take you through the brewing process. Südstern is located at Hasenheide 69 in Kreuzberg and is easy to get to by public transport, but out of the way enough that it is not overrun. Image © Brauhaus Südstern. 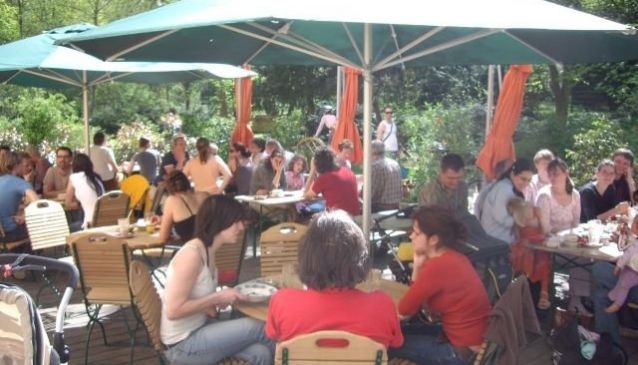 Named for the Schleuse (Sluice/Lock) that it sits next to, this Biergarten is located between the beautiful Tiergarten park and the Zoological Garden. A favourite of locals and visitors, this is the perfect spot to recuperate after a visit to the zoo or a walk around the the Tiergarten. 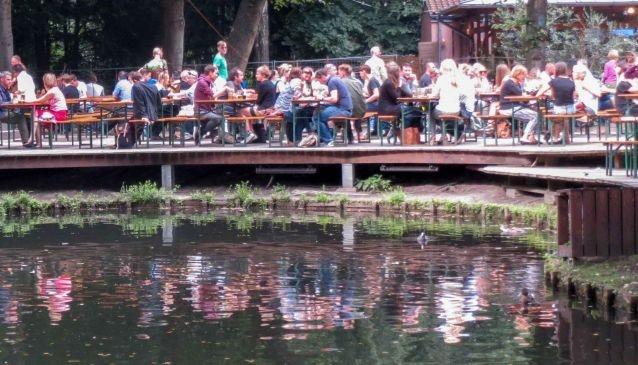 In my humble opinion Schleusenkrug offers one of the most ideallic atmospheres among the Berliner beer gardens with plenty of greenery, access to the canal and a terraced landscape that makes it seem a bit more intimate than it is. Food wise, you can choose between something quick, tasty and reasonably priced from the grill, or something a little more sophisticated from the the restaurant. 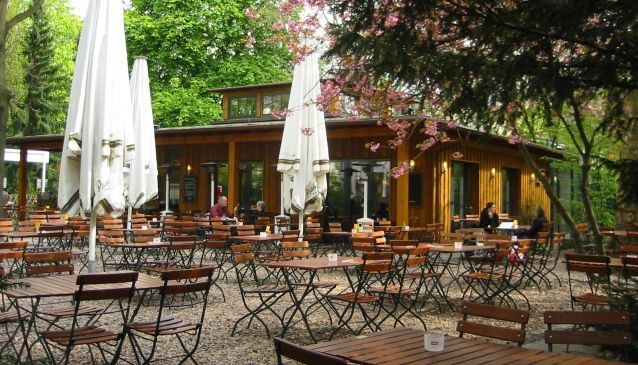 Located not so far from Schleusenkrug, you will find the picturesque Cafe am Neuen See in the South-Western corner of Tiergarten, one of our favourite Berlin city parks. Here you will find ample seating and a great mix of tasty beer as well as either Bavarian or Italian cuisine. The have a decent sized sand pit for the kids to play in, keeping them occupied while you can enjoy a refreshing beer. 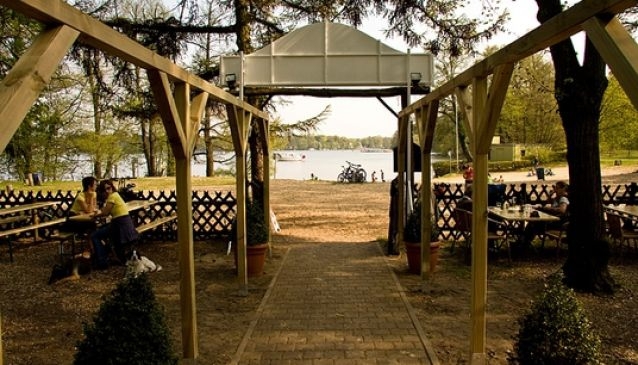 The definite highlight of Cafe am neuen See, though, is its location: Nestled along the side of a small lake, ringed with beautiful leafy trees you will forget you are in a big city. If you are feeling romatic, adventurous, or both, you can hire a rowboat for an hour and head out on the lake for a truly unique and special afternoon.